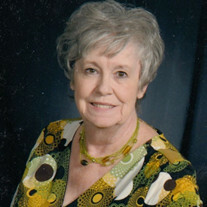 Betty Boyer, 75, of Brownwood, Texas passed away Wednesday, April 3, 2019. Betty is survived by her sons, Cary Alan Wright and Brandon Boyer, both of May. The family of Betty Anne Boyer created this Life Tributes page to make it easy to share your memories. Send flowers to the Boyer's family.